My next door neighbor is awesome. 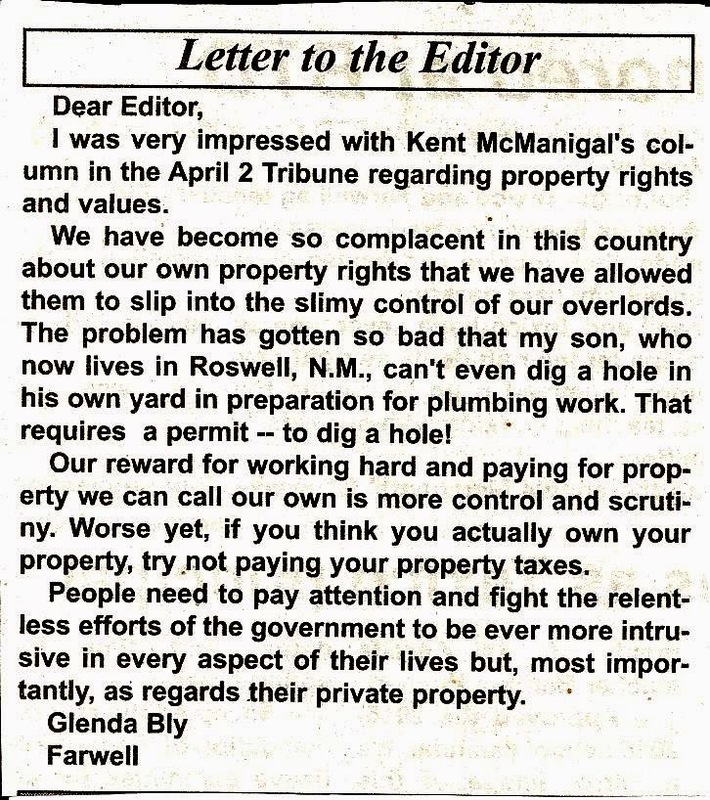 This was in this week's State Line Tribune, in response to my most recent Liberty Lines. It was unsolicited, in fact, I haven't even spoken to her since my column came out. I was recently told by a government extremist that they doubt I ever volunteer. They were speaking specifically about teaching (other people's) kids, but as I won't participate in classroom settings anymore, that limits my opportunities around here. They claimed that was no excuse. Perhaps. But that's not the only way to volunteer. I actually have done classroom volunteering in the past. I have taught kids about mountainmen and demonstrated the mountainman skills. Without setting the school on fire or shooting anyone. Now my volunteer work is mostly of a different nature. For one, spending vast amounts of time debating statists in order to try to give them a hand improving the quality of their lives. Or at least helping observers see the truth and rightness of Rightful Liberty. But that's not all. I pick up litter. A lot. I find it relaxing, and it also helps "the community" while it improves my life. But "liberals" have claimed I am a nasty, self-centered individualist, unlike themselves. Because I don't do it their approved way, through their approved channels, teaching their approved agenda. I consider that another plus to me. How many of you do volunteer work?